Our campaign has reached a significant milestone today, as the Australian High Commissioner to the United Kingdom, Alexander Downer, has pledged his support for free movement between Australia and the UK. He also emphasised that diplomatic channels have been opened to make it easier for people to move between the two countries, and that he wished to see greater visa cooperation with Britain to counter the declining number of Australians working in the UK. 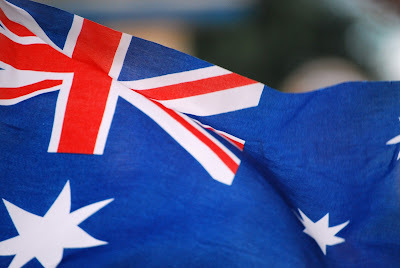 Since 2008 there has been a 40% drop in the number of Australians working in the UK, with recent legislation meaning up to 40,000 people a year, who are from outside the EU, now face deportation if they want to settle in the UK permanently but earn less than £35,000. “We come up against an entrenched government policy of wanting to reduce immigration numbers and they obviously can’t reduce immigration numbers from the EU very easily, so they have to concentrate very heavily on non-EU migrants, and Australians get caught up in that unfortunately“. With the UK’s potential exit from the EU however, this could allow the UK to exercise governance over its own immigration policy, and gradually ease the progression of free movement within the Commonwealth. In addition, the fact that free movement is supported at the highest levels of diplomacy is a significant advance for our campaign, and even though Alexander Downer’s support does not include free movement with New Zealand and Canada at this time, it is an incredible step in the right direction and leads us closer to our goal of free movement between the UK, Australia, New Zealand and Canada by the end of the decade. To email Alexander Downer and pledge your support for our free movement campaign, please click here. For more information about our campaign and how to get involved, please email us at support@CFMO.org.